Novera Payment Solutions recently teamed with Visiting Angels to provide franchise owners with a cost effective solution for their credit card processing needs. This strategic partnership enables Visiting Angels franchise owners to take advantage of the most current credit card payment processing technologies while utilizing Noveras innovative pricing structures for payment processing services. Visiting Angels is a national, private duty network of home care agencies. They are the nation’s leading provider of non-medical senior home care services.Visiting Angels provide in-home care, elder care, respite care, senior personal care, elderly care and companion care services. With their senior home care services, elderly adults can continue to live independently in their own homes. The directors and franchisees of Visiting Angels hold the philosophy that they are in business to provide the best care possible to seniors as well as others who need in home care while giving total respect to the care giving staff. That's why Visiting Angels is "America's Choice In Homecare". For more information about Visiting Angels, visit their website at http://www.visitingangels.com. Novera Payment Solutions provides an easy to understand ﬂat ﬁxed monthly fee structure. Many merchants don’t fully understand their card processing rates. In truth, the underlying cost to accept credit cards and debit cards is the same for all merchants, large and small and is comprised of Interchange fees and processor costs. Interchange makes up the majority of the cost of a monthly bill, and is never negotiable. Variable inﬂated rates and additional transaction fees make up for most of the difference and are where most processors make substantial proﬁts. Under the new relationship arrangement ,Visitng Angels franchises can now receive a transparent, ﬂat ﬁxed monthly fee pricing model that remains in effect for the life of the account. Additionally, Novera will provide Visiting Angels franchise owners the opportunity to access innovative tools designed to help businesses run more efficiently and cut costs i.e. virtual terminals, mobile payments devices, website payments portal, and a “QBplugin” to work with QuickBooks software that ensures a seamless interface and postng tool. It’s all part of Novera’s suite of services and unique commitment to price transparency unparalleled in the payment processing industry. John Wisniewski, Novera’s Director of Business Development, said, "By utilizing a ﬂat fee pricing structure, Visiting Angels franchise owners can rest assured that they will never pay more than they should for processing services. We’re excited about our partnership with Visitng Angels in their efforts to provide their franchise owners with solutions that help them grow and succeed." 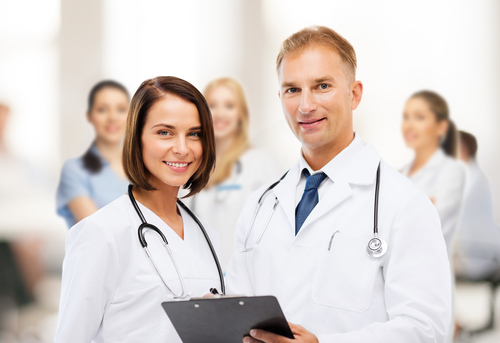 The Revenue Maximizer payment gateway is a real-time patient responsibility calculation and payment processing system, estimating at the point-of-care what the patient owes. As a web-based system, the Revenue Maximizer uses your current computer hardware and Internet connection (with a small card reader that plugs into the computer’s USB port). At the heart of the Revenue Maximizer is the innovative Patient Responsibility Calculator. The Revenue Maximizer is competitively priced, and requires no application fees. It is as easy to use as email with minimal setup. And because it is Web-based, the Revenue Maximizer reduces the need for point-of-sale terminals and costly, dedicated phone lines. 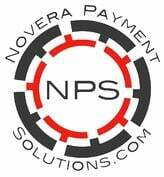 Contact Novera Payment Solutions for a no obligation savings analysis of your current payment processing system. Card. Our Flat Fee Merchant Program combined delivers real value from what has traditionally been considered a tax on payment acceptance at the Point Of Care for Health Care Providers.